You will see what types of questions you missed. To see more details about the Reading section of a Score Report, click here. 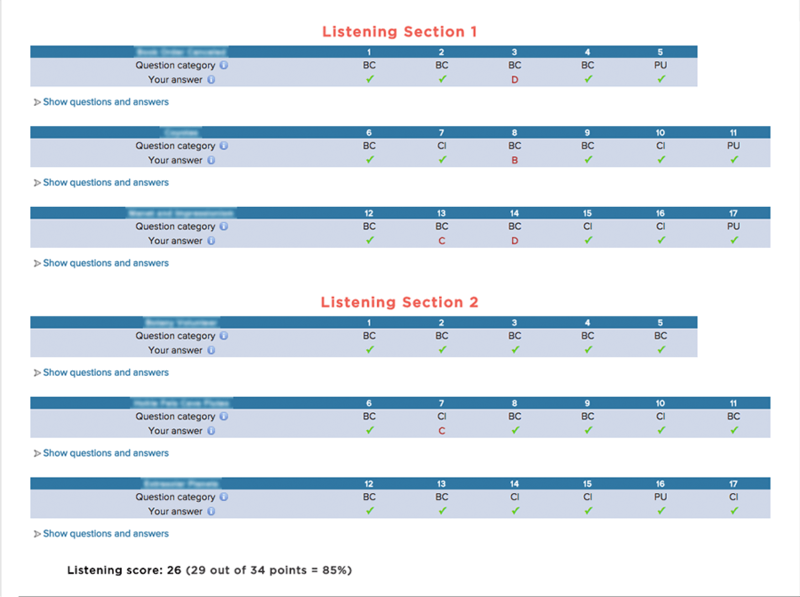 To see more details about the Listening section of a Score Report, click here. You will receive Customized Grader Suggestions on how to improve your score. To see more details about the Speaking section of a Score Report, click here. To see more details about the Writing section of a Score Report, click here.